We're getting close to the best time of the year - the wrestling state tournament. Who are your picks for state champion locks? I don't want to put any undo pressure on these kids, but it is fun to discuss. I'm putting my locks as Cottey at 106, Moran at 113, Littell at 120 and Allred at 195. We will wrestle and play music on Tuesdays. I may even tell a joke or two. Enter in door 13 and the wrestling room is above the gym. I've heard things about teams being able to switch over from fight shorts/shirts instead of singlets. Has this taken place yet? If not, is it going to take place, or is it still an idea? I know some summer duel teams have done it. 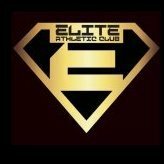 Elite Athletic Club Taking Club Sign Ups Now! Fall Brawl High School Dual Team - HWT last spot!! !